Pimlico Group achieved revenues of almost £44million in 2018 following a strong second half of the year, which included a record-breaking summer. This strong financial performance has been attributed to continued investment. Founder and Chief Executive, Charlie Mullins, has pledged that the company will remain 100% family-owned after a number of approaches from investors. For the first time in its 39-year history, the period June to August 2018 saw income generated exceeding £10million, with July and August’s figures contributing to sales of £22.67million for the final six months of 2018. Sales figures continued to be strong in the autumn with back-to-back record months in October and November, with revenues of £4.31million and £4.52million respectively, which led to a turnover of £12.4million in the last three months of the year. These figures, which represent a 16% year-on-year increase for the central London-based company, support its forecasts to achieve in excess of £46million turnover for its 2018-19 financial year ending April 2019. Charlie Mullins said: “Our numbers for the second half of 2018 were as good as the UK weather last summer, which proves we have well and truly severed plumbers’ traditional dependence on artic blasts. Work has been constant, even during the heat wave when plumbers are more likely to be found on a Mediterranean beach than under a sink – but like so many other things in our industry we have bucked that trend. 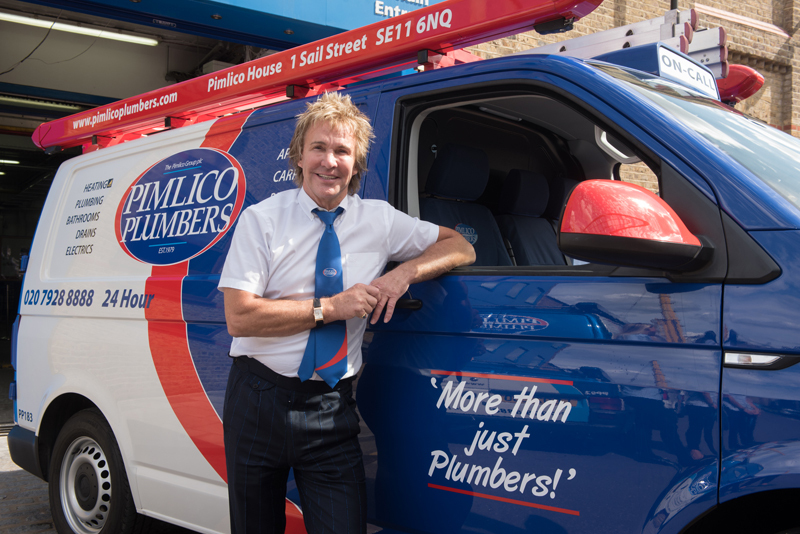 “More planned work in homes and businesses across London, as well as the strong performance of our 24-hour emergency call out service, and diversification into other home services, has delivered for Pimlico and justified my continued investment in our operations.